​Inter have 'agreed' a new contract for central defender Milan Skriniar that will keep him at San Siro until 2023. Skriniar, 23, has been a revelation for Luciano Spalletti's side since signing from fellow Serie A side Sampdoria in 2017 for just €20m, making 68 appearances for the Nerazzurri across all competitions. His form has led to the Slovakian defender linked to the likes of ​Manchester United and ​Barcelona in recent times. 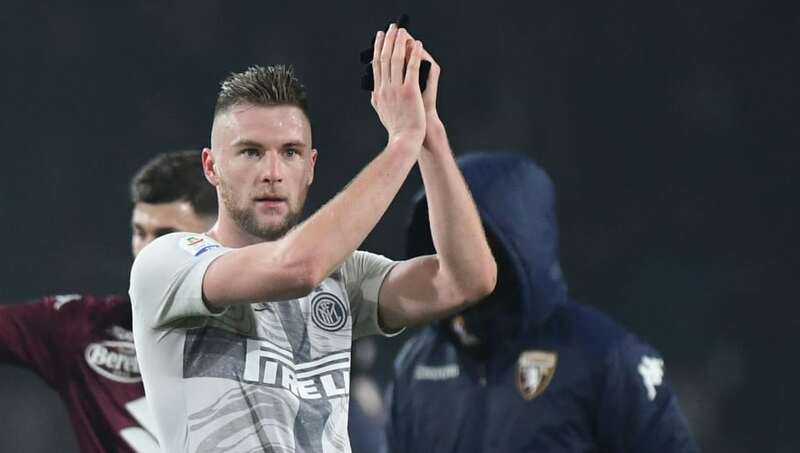 However, Italian media outlet ​Corrie dello Sport are reporting that ​Inter have 'agreed' a new contract for Skriniar. The latest deal will reportedly see the defender extend his stay at San Siro by a further year until 2023, while Skriniar is also set to pocket a wage of €3m a season plus bonuses. Perhaps more significantly however for Inter is that Skriniar's updated deal contains no release clause for potential suitors to activate, citing the Serie A side's intentions to keep hold of the talented defender, as well as the centre-back's desire to remain at San Siro. Inter currently lie third in Serie A this season, although five points separate themselves and Atalanta in seventh, as the Nerazzurri have endured a frustrating run that has seen them win just one of their last four games in the league. Those results have seen the pressure mount on Spalletti regarding his immediate future at the club, with ​recent reports linking former manager Jose Mourinho with a return to the club this summer, and will be keen to work with Skriniar after being an apparent admirer during his time in charge at United.